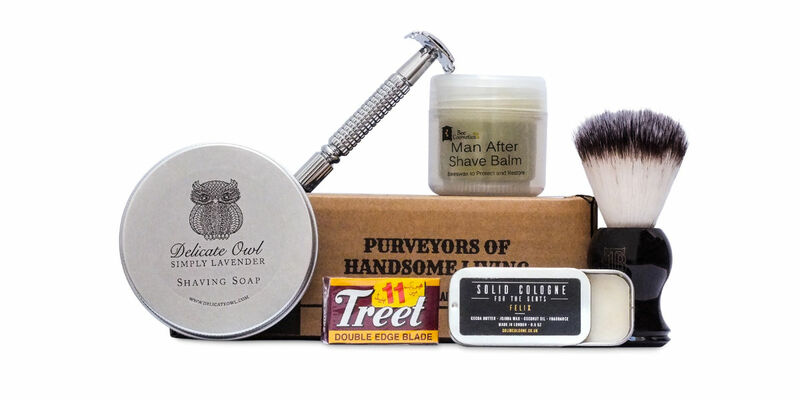 The latest subscription box from The Personal Barber wet shaving subscription is going out to new customers and we’re very pleased with the line-up. Interestingly, all the goods in this month’s box are undiluted products meaning there’s no water inside them so only a little bit is needed to get results. This box is focusing more on your post-shave game to keep your skin feeling smooth and comfortable as well as smelling amazing. 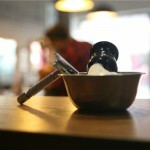 All new subscribers received our classic wet shaving brush and safety razor in their first box as well for free. 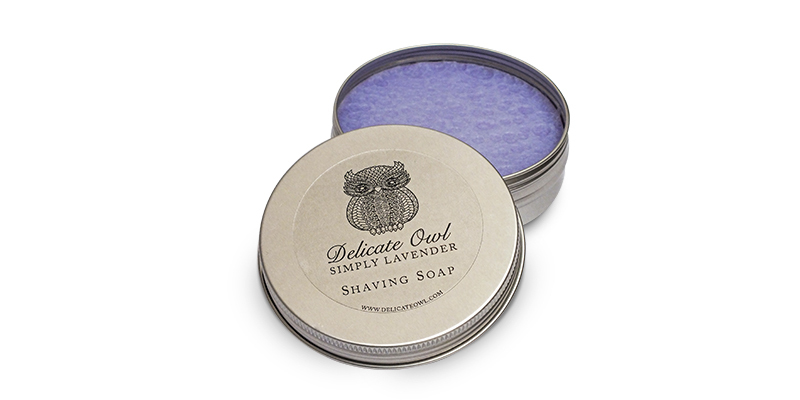 Delicate Owl is a British based award-winning, luxury, ethical vegan soaps and cosmetic maker. Known for producing high-quality artisan handmade products using natural ingredients from the finest essential oils, herbs and botanicals as well as being completely free from harsh chemicals or irritating ingredients and unnecessary additives. This shaving soap has a beautifully floral aroma coming from the English lavender essential oil that makes it stand out from many of the shaving soaps on the market. Made as part of a small batch and hand-cut, it’s a hard, cured soap that goes a long way! Conveniently presented in an over-sized tub so you can apply your brush straight to the soap. 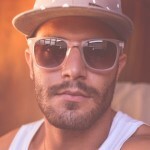 It very quickly develops a bountiful lather that’s slick for an impressive razor glide without being too thin. The natural antibacterial, anti-inflammatory and antiseptic properties of lavender gently clean and soften the skin leaving it feeling well moisturised post-shave. To use: Load a slightly damp shaving brush on the top of the soap until the brush is fully loaded and then work into a rich lather directly on the face, in the hand, or in a bowl. Add a drop of water at a time until a bountiful foam has been achieved. 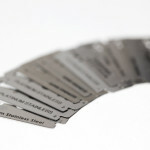 A very exciting and unique product! Bee Cosmetics is a small family-run business that manages 35 beehives based in West Sussex. They use the natural skincare properties of beeswax, honey and propolis to formulate their effective range of skincare products. 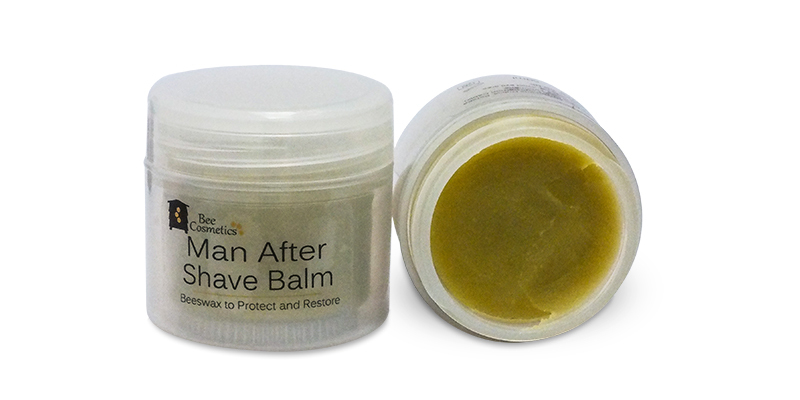 This aftershave balm is formulated to moisturise and calm skin post-shave to prevent or treat any irritation such as shaving rash. Made with a combination of avocado, almond, and patchouli oils that deeply nourish and tone the skin whilst soothing any irritated, inflamed patches. The avocado oil is what gives the balm its stand-out green colour. Beeswax provides the texture and is naturally protective and calming on rashes and skin conditions. Finally, blended with uplifting sweet orange oil that gives the balm a masculine scent. Completely free of preservatives or chemicals as well as being undiluted (no water) meaning this balm goes a long way and should be used sparingly. To use: Immediately after shaving, dab the skin with a clean towel until semi-dry and then apply a small amount of balm over the shaved area. Use sparingly! 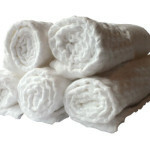 It can feel slightly greasy at first but it soon absorbs and leaves the skin feeling incredibly smooth and soft. Another exciting British brand! Solid Cologne UK is a relatively new brand, based in London, reviving the ancient Egyptian tradition of applying a solid, wax-based scent. Perfect for carrying in your pocket, gym bag or on an airplane, the conveniently packaged cologne is discreet allowing for quick and simple application on the go, whenever you need a top-up. The difference between this and a regular cologne is that it uses a highly concentrated wax base meaning there is no water content, allowing for a higher concentration of fragrance. Made using naturally sourced ingredients such as beeswax, shea butter, and jojoba oil for a comfortable non-greasy feel on the skin. 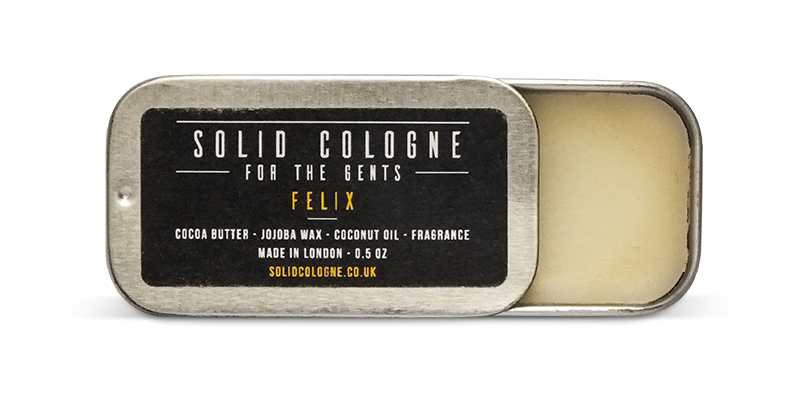 We’re featuring the “Felix” cologne which has an addictive fruity, green and woody scent. With top notes of grapefruit, bergamot with mint melted into cardamom, cinnamon moving into green leaf, green violet added onto a heart of lily and rose. Before ending in cedar wood, sandalwood and sweet vanilla. We absolutely love this innovative product and think more men should know about the joys of solid cologne; it smells fantastic, it’s very convenient and it’s a joy to use. 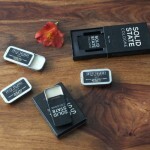 Much like our featured soap and balm, don’t be fooled by the size of this product. Due to its high concentration, only a small amount is needed on each application allowing it to last a long time. To use: Gently rub your finger over the balm in a circular motion and then apply to your pulse points such as your wrist, neck and behind your ears. We use the pulse points because they heat up the cologne, making it last longer. Scent should last roughly 4 hours before it may need reapplying. Known as “Black Beauties” in the wet shaving community for their great performance and distinctive colour. Very sharp and give an incredibly smooth shave but can have a reduced longevity due to them not being made from stainless steel. They’re certainly a favourite blade for many wet shavers but to get the most out of them you need to properly dry them between each use as they are prone to rusting if left damp for long periods of time. 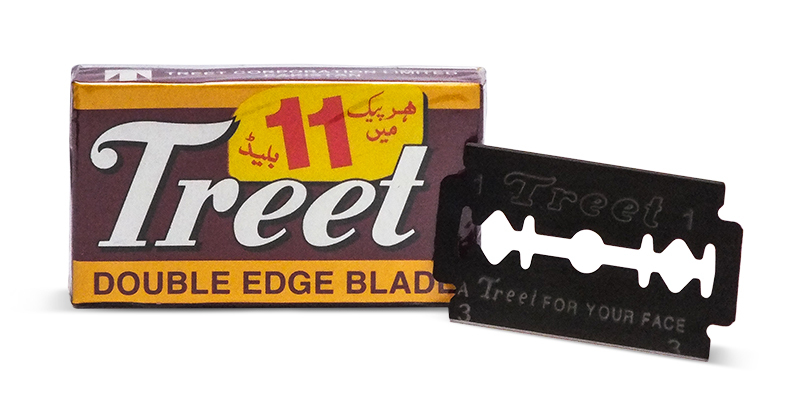 Last 3-5 shaves per blade.